More and more customers do their shopping at home, using computers or iPads. 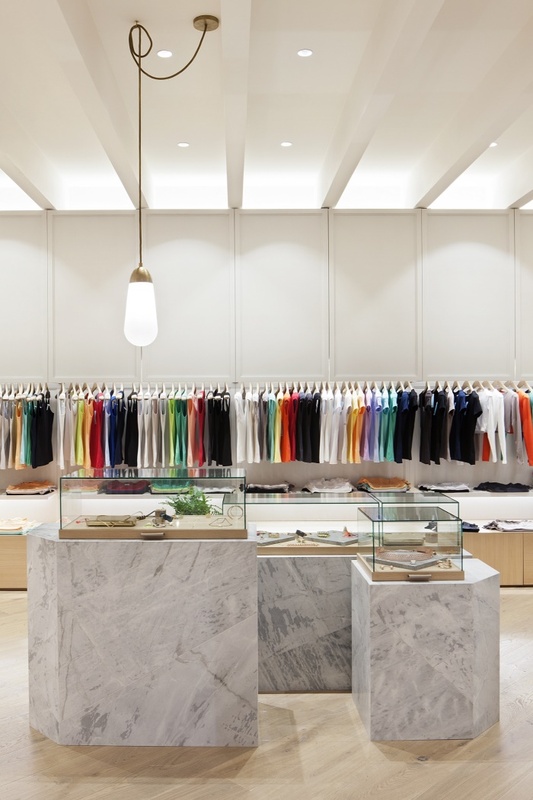 In order to lure them back to bricks and mortar shops, retailers need to offer them a unique shopping experience. 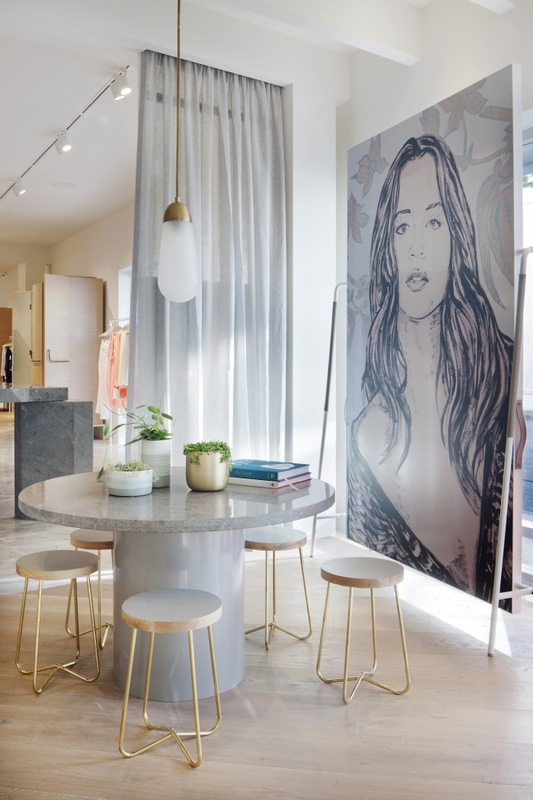 For the Kookai flagship store in South Yarra, Hecker Guthrie responded to the home shopping trend in a savvy way: They re-created an intimate apartment interior, including different ‘rooms’ and lounge areas. 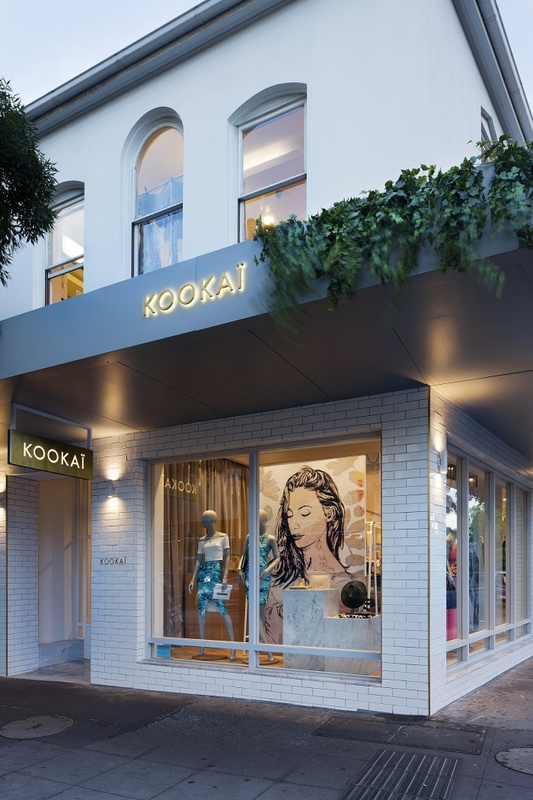 The considered detailing to all aspects of joinery and fittings gives the store the softness and femininity that reflects the Kookai brand. The approach is typical for the firm, say Hecker Guthrie: “When setting out to design a space, we don’t ask what the client wants it to look like, but how they want it to make them feel.” In this case Kookai wanted their target audience of modern women to feel at home, so the designer chose a light and feminine palette. Lounge spaces and different zones offer a very personal experience; plinths growing out of the stone floor provide a touch of drama. The sense of being an apartment with its rooms and intimate spaces was the key idea to the initial design.